The rebuilding of a city begins first with the reviving of its spirit. 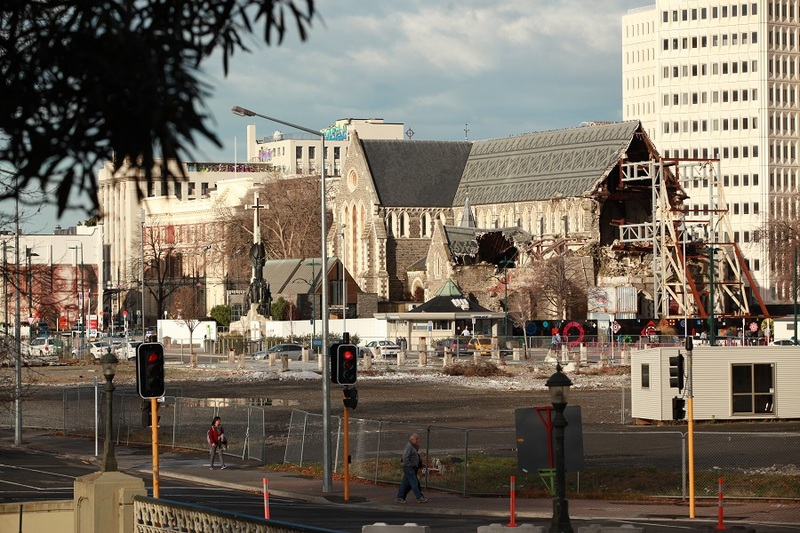 Directed by Peter Young and produced by Tracy Roe, “The Art of Recovery” chronicles the period following the 2011 Christchurch earthquake when creative entrepreneurs and artists injected new energy into the heart of the city quieted by destruction. A personal film for Young, who lived close to Central City at the time of the quake, the film begins by taking viewers back to the day of the disaster through video clips and memories of those who would become key participants in the transitional community movement. Sensitively crafted, this emotionally-driven introduction places the scale of infrastructure damage and human loss in perspective, particularly for viewers who may not be from Christchurch or know the enormity of devastation that occurred that day. Not dwelling more than a few minutes on the actual earthquake, the film quickly shifts its attention to life going forward. What can one do when all seems in ruins? Where do you put the picked-up pieces when the base remains broken? 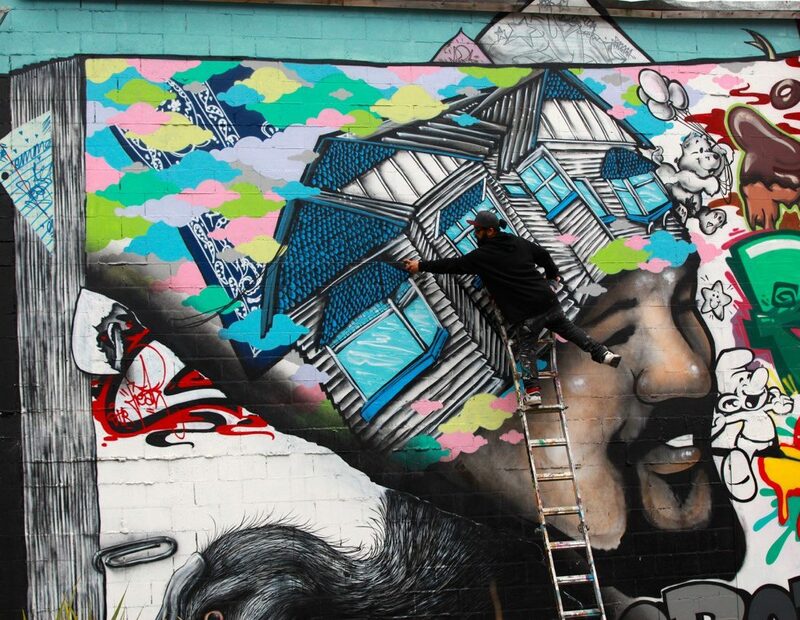 Focusing on the efforts of artists and innovative thinkers like those behind Gap Filler to reboot central Christchurch through cultural projects and socially engaging activities, “The Art of Recovery” shows us that out of vacant spaces there can spring new hope and life. Where buildings are in rubble communities can still rise. During the film, Young also highlights the marked contrast between the desires of the grassroots movement and those in charge of the formal rebuilding decisions at the governmental level. The higher-ups don’t exactly come off as shining stars in the film but more so as those who listen with half-covered ears. Their disconnect is frustrating, not because they don’t recognize the value of the transitional projects, but because of how easily they seem to dismiss that value when faced with the opportunity to make big profit. A gifted cinematographer, Young packs the film with a variety of beautifully composed shots that capture the changing Christchurch landscape and the individual sparks of the people who call it home. As the city continues to evolve, will their creative energy be carried with it? “The Art of Recovery” shows us that glory in action and gives us hope that maybe it needn’t be a rare phenomenon, but a community-minded state for which all cities should strive to sustain and aim for. To learn more about “The Art of Recovery,” read our interview with Peter Young here and visit artofrecoveryfilm.com.You can also discover more of Peter’s work online at fisheyefilms.co.nz. “The Art of Recovery” screens at the Arohanui Film Festival in Te Aroha this Sunday, October 30th at 1:30 PM. Tickets are available through Eventbrite.